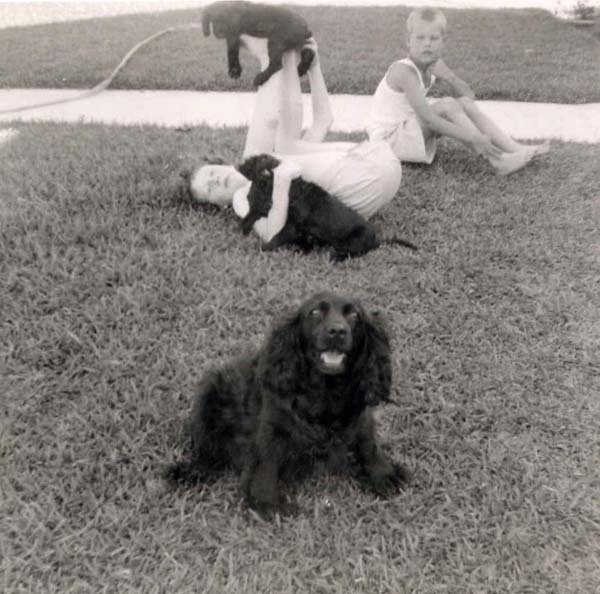 Morris Puppies In 1953, when I was six, we visited Dad's sister and her family in Austin, TX. I had the measles most of the visit. In fact, the stay was extended because of my disease. When I recovered, I was given my choice of the Cocker puppies. I took two to take home to Missouri and named them Austin and Tex.